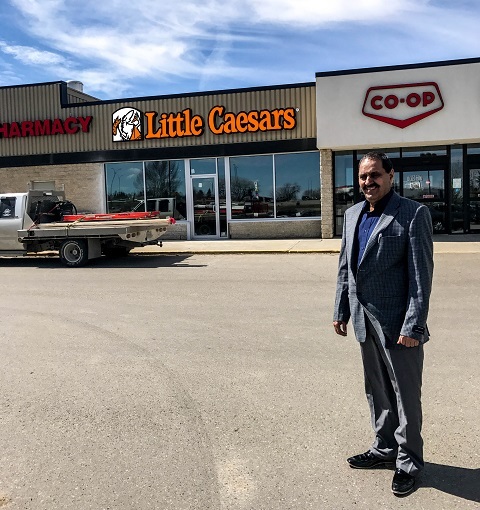 Electra Sign Winnipeg and Prairie Sign Regina were pleased to work again with Little Caesars and their latest location being opened in Swift Current Saskatchewan very soon. 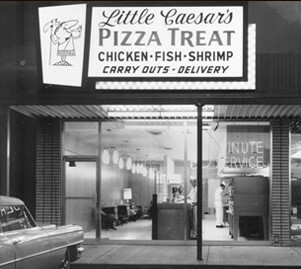 Little Caesars has a deep history that started way back in 1959 when husband and wife founders Mike and Marian Ilitch invested their life savings into their first pizza store (pictured left) in Garden City, Michigan, a suburb of Detroit. Since then Little Caesars has become the largest carryout-only pizza chain in the U.S. and an internationally known brand. Sage Creek Village Centre: A beautiful and burgeoning neighbourhood. Since 2006, Sage Creek has been one of Winnipeg's most beautiful and burgeoning neighbourhoods, boasting fantastic new homes and an abundance of natural walking trails. 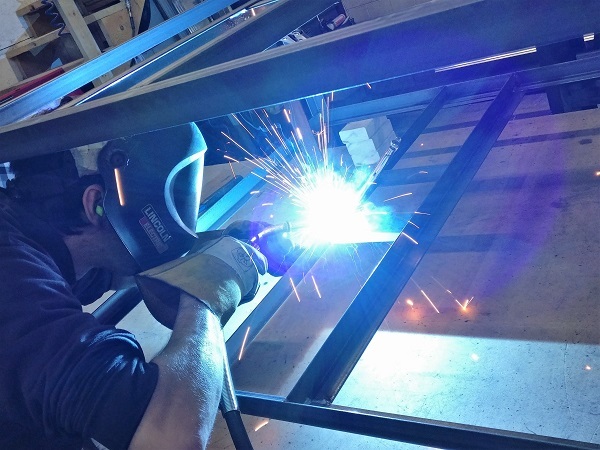 This year is set to be another formative step for the community; their new K-8 school opens this fall, and their Village Centre for businesses continues to see exciting growth, including a brand new tenant pylon sign. 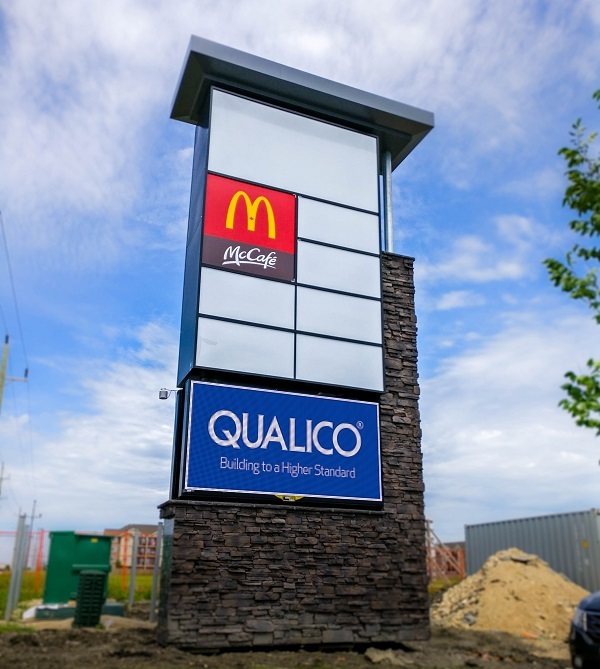 Electra Sign has worked previously with Qualico to bring our top-quality pylon signage to the Sage Creek Village Centre, and we were more than happy to meet their needs again when they came to us with this new project. We worked with their designers and established a winning look that took the style set forth by our previous sign and advanced it, accenting our brilliant LED cabinets with exposed architectural elements and a gorgeous stonework base. And of course, no major pylon sign is complete without an award-winning Watchfire EMC. 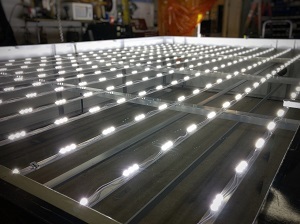 With a strong design in place, it was up to our dedicated team of engineers and manufacturers to bring this project off the page and into reality. As always, they were up to the challenge and delivered true-to-concept results that will stand proud for years to come alongside the remarkable architecture already on display at Sage Creek Village Centre. Last but certainly not least... After carefully transporting the new pylon sign to its new home, the Electra Sign install team ensures everything is just right on-site before being among the first to enjoy the sight of a new sign well done. They won't be the last though; the businesses in the Village Centre will be more visible than ever thanks to their new pylon. We hope you'll stop by and see for yourself. If you're looking for a quick bite to eat, taking time for self-improvement, or just need some speedy & convenient service, the Village Centre has you covered no matter if you call Sage Creek home or if you're just passing through. For a full list of businesses, check out Sage Creek's website. 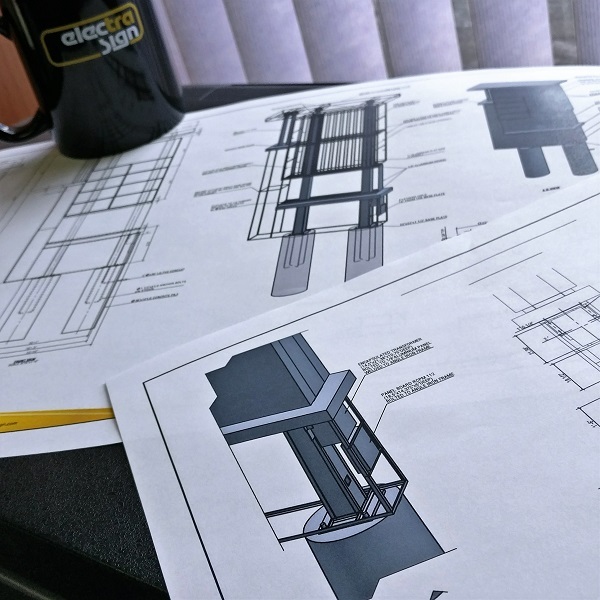 And if you're considering a pylon sign for your own development, get in touch with one of our friendly account executives and find out today what a great sign can do for you. Prairie Sign and Electra Sign Ltd. were pleased to work with d3h Hotels Inc. on the Home Inn & Suites project located in Swift Current SK. The striking new signs are internally illuminated by energy efficient LED’s creating a small ECO friendly foot print for there newset hotel. Customer Profile: Based in Saskatoon, d3h Hotels is a hotel management company that owns and operates nine hotels across Western Canada with its two new and upcoming builds of Home Inn & Suites in Swift Current and Yorkton starting in the fall of 2011. Over the past 13 years, d3h Hotels has gained extensive knowledge and experience in the design and construction of hotels. The company recently celebrated its 10th build, pushing this young management company to retain the honour of being the largest franchisee of Days Inns in Canada. d3h’s vision is to ‘work together as a team to provide customers with “stay experience” that makes them feel they were at home’.